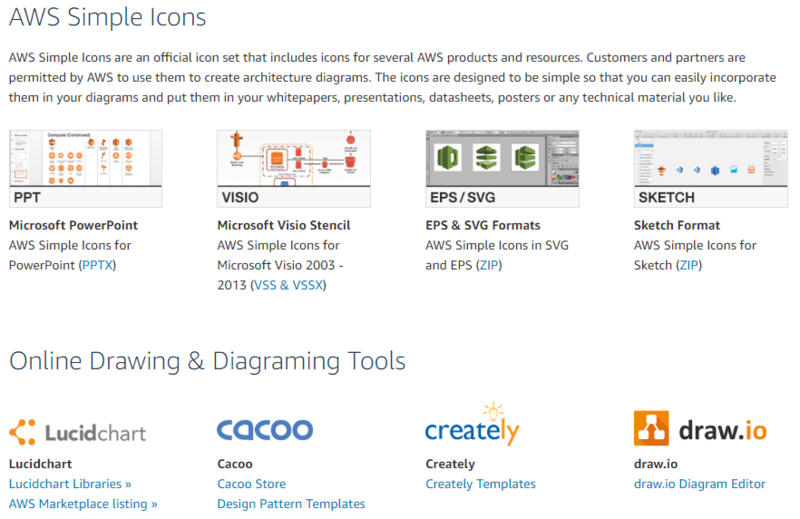 AWS Simple Icons are an official icon set that includes icons for several AWS products and resources. Customers and partners are permitted by AWS to use them to create architecture diagrams. The icons are designed to be simple so that you can easily incorporate them in your diagrams and put them in your whitepapers, presentations, datasheets, posters or any technical material you like. AWS Reference Architecture Datasheets provide you with the architectural guidance you need in order to build an application that takes full advantage of the AWS cloud infrastructure. Each datasheet includes a visual representation of the application architecture and basic description of how each service is used. You can find a lot more..!